The teaching method adopted by Feiyou is to encourage students to actively explore their knowledge, collaborate with their classmates to formulate study plans, present their learning results, and cultivate students' independence and lifelong learning spirit through questions. And such students will be more competitive. According to the 2016 report of the Higher Education Statistics Agency, IB Diploma Program students are preferred to other graduates by top 20 universities in the United Kingdom. Students aged between 3 and 12 are enrolled in the PYP at the Faiiview International School's Kuala Lumpur, Subang, Penang and Johor Bahru campuses. The aim of this phase is to stimulate students' interest in lifelong learning while focusing on Develop their fitness, emotional intelligence and character. Students aged between 11 and 16 are enrolled in the MYP at Kuala Lumpur, Subang and Johor Bahru. Students will combine textbook content with life experiences to gain insight into the real world through the curriculum. Way, after entering the community more viable and competitive. As for the former diploma, it is a springboard for students to enter the World Universities of Excellence. Students should study subjects in the fields of language, social studies, science, math and arts, acquire independent research skills, have good physical fitness, participate in social services, To achieve the all-round development of morality and morality. Since the establishment of Fairview International School, students have passed their green marks on both the GCE and IGCSE exams. 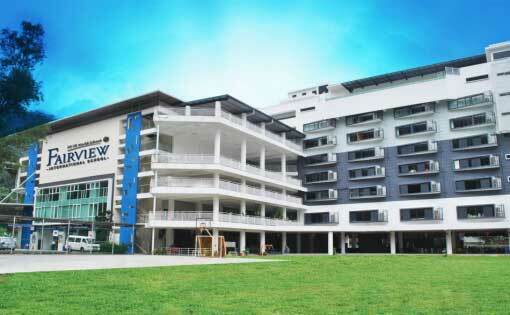 The school has maintained a record 95% pass rate for the O-Level Examination for 15 consecutive years.